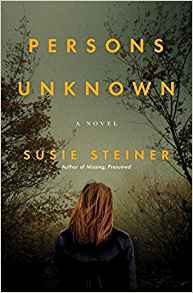 Susie Steiner is the author of the new novel Persons Unknown, the second in a series featuring Detective Manon Bradshaw. 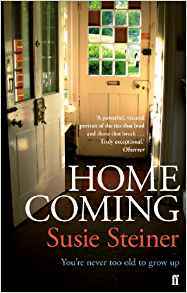 She also has written Missing, Presumed and Homecoming. 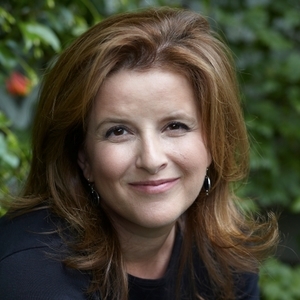 She has worked for The Guardian, The Times, The Daily Telegraph, and the Evening Standard, and she lives in London. Q: How did you come up with your character Manon Bradshaw, and did you think when you wrote Missing, Presumed that you’d be writing more books about her? A: With Manon, I wanted someone articulate and who was aware of her feelings, so that her emotional register could written. I also wanted her to be turbulent within the normal range – she is up and down, vulnerable, often a mess – but she is not crazy. I also didn’t want the detective trope of loner, unable to form relationships. She is all connected up and wanting attachments, rather than avoiding them. 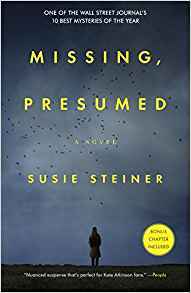 I didn’t think of her as a series detective when writing Missing, Presumed but equally, staying with her for more books is entirely fruitful and rich. It’s a pleasure to remain in her company. Q: You write from the perspective of several characters, not just Manon’s. Do you write the chapters in the order in which they appear? A: I write in Scrivener, a novel writing program which allows you to see your scenes in a folder to the side. So I’m aware of the hand-offs between different characters’ PoVs. They carry the story between them, which is very useful, because you’re not stuck with one character having to think and see everything plot-wise. This also allows the reader to know things before the detectives, which heightens suspense. I try to keep the balance between Manon, Davy et al reasonably even, though it’s fine if Manon dominates to a degree. Q: Do you usually know how the books will end, or do you make many changes along the way? A: I’m a huge re-writer. I usually spend a year on a first draft, then another full year redrafting. The plot can go through quite seismic changes in that time. I try to know the ending in a broad-brush way from the start, because you’ve got to be aiming somewhere. Also, you need an ending that’s strong enough to carry the whole journey, and it’s best to know that before you set off! Q: In a piece for The Independent about your loss of sight, you wrote, “My sight loss, which has begun to limit me only in the last five years, has accompanied an increase in my creative output as a novelist. The two seem intertwined, as if the less I can see of the world, the more I can focus inwardly.” Can you say more about that interconnection? A: In practical terms, I work from home, in my attic, which is better for me given I have a disability. I think I’d struggle commuting to an office these days. I suppose the analogy I was making was that my sight has reduced in circumference, to quite a small circle – it’s my peripheral vision I’ve lost. And in that circle is my novel. As I have a degenerative condition, I’m also aware that time is not unlimited. A: A third Manon caper! I’m about 30k words into Manon’s third installment. I have a good idea of the ending, but the middle is causing me all manner of headaches! A: Persons Unknown, the second Manon mystery, can be read as a standalone, so readers shouldn’t feel they have to start at the beginning.